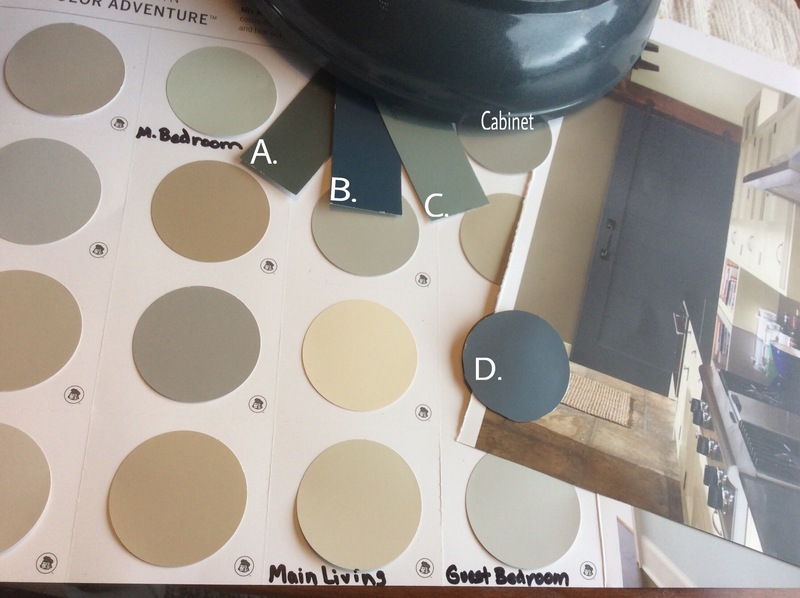 Color Dilemma – I Need Your Help! Ok, so here’s the back story. I’m terrible with color. I start out with good intentions but my eyes and general feelings about a color tend to run away with me. Before you know it, I have baby blue (I swear it looked more grey) on one wall and some orangey red (which I could have sworn looked more rustic) on another. Terrible. This time around I promised myself I’d stop with the guessing and go with one of the pre-set pamphlets you find in the local home improvement store. To that, I would add the timeless pieces and lighting that attracted me. The color would come in soft (yet changeable) items such as towels, pillows and the like. Maybe a stray bright colored vase or artwork. So far, I’m making great strides although I feel like I’m going to be living in a grey/beige world of stark nothingness. 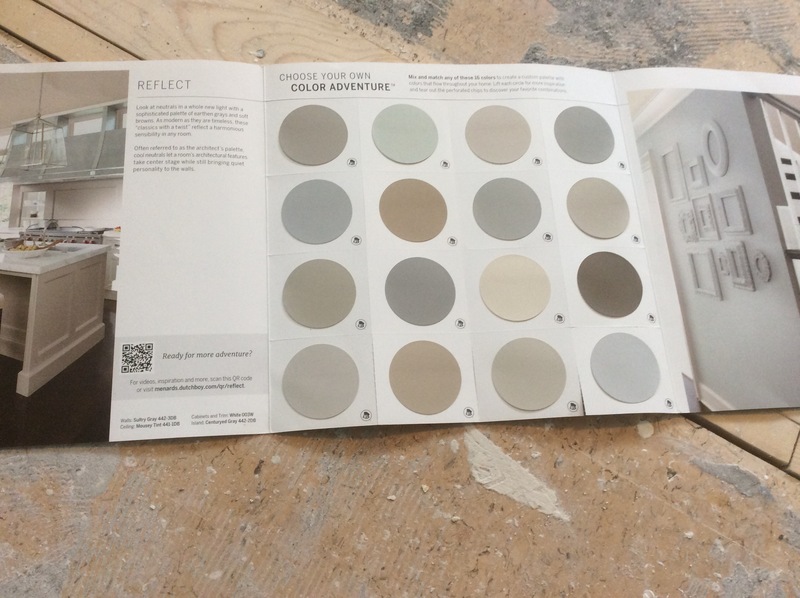 I chose this palette from one of the Dutch Boy Color Adventure series. I figured it was one I could happily live with and not have wall colors be Easter egg pastels. Nice right? To this I will be adding numerous finishes, from hickory floors to coordinating grey and white mosaic floor tiles and beige/grey carpet. Crisp white doors and trim work will really make these colors shine! As my palette expands, my desire for color is closing in and stepping on the back of my flip flops. I have a few pieces in the house which beg for a pop of color but I don’t want to go too far into the brightly outrageous colors (no red). Hear what I’m saying? I need to step out of this grey box yet it’s got me anxious and uncertain. To help you, help me, narrow down some ideas here’s what we need to look at. 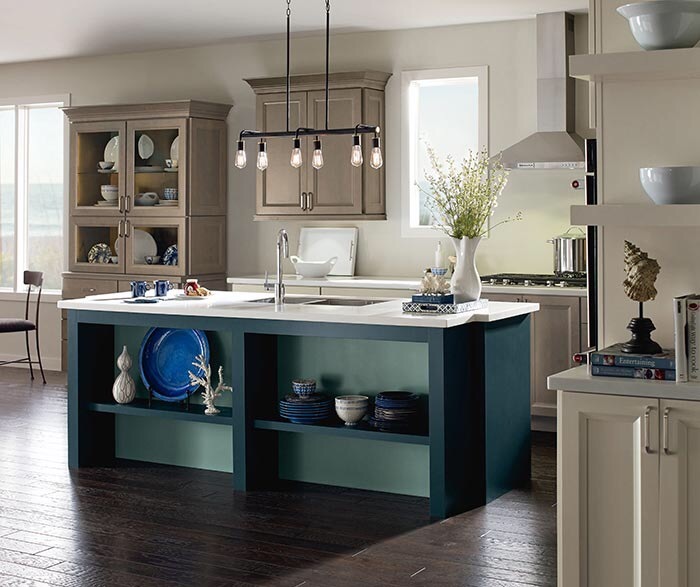 The accent color must blend well with all colors throughout the house. The master bedroom paint is a bit interesting as different times of day effect the color you see. One minute it’s greenish, the next it’s blue or even grey. In this room I need to add an accent color to the sliding barn style door (same style as shown in one of the pics further down in my blog). In the kitchen, I have an inspiration photo to share with you! 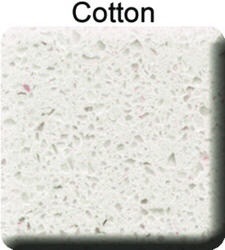 Much like this photo I have seal (grey/brown) cabinets for the base, white cabinets for the uppers and cotton quartz countertop. White subway tile will adorn the backsplash with ultra-thin white or light grey grout lines. My husband will be making a kitchen island out of my grandparent’s Westinghouse TV cabinet so I’ve thought about painting it my chosen accent color (hence the reason I need to play it somewhat safe). So, where to go from here? I like blue, but not the two-toned version in the above photo. I’ve narrowed it down to a few choices unless someone has something awesome they would like to suggest. Here comes the pic of the door I mentioned previously. I’ve labeled some of the wall colors we’ve utilized throughout the house so far. You’ll find choices A, B, C or D…you can even come up with E, being your own suggestion! I look forward to reading some of your great comments and suggestions concerning my design dilemma. 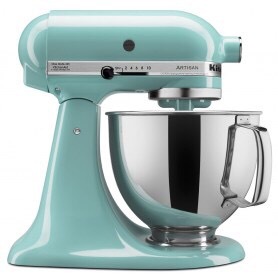 I might also add that I have a beautiful Kitchenaid mixer in a lovely Aqua Sky color. Not that this color needs to be considered but it’s food for thought! 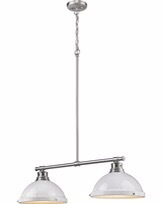 Think modern country kitchen with stainless appliances and these lights I just had to have for over the island.